Celebrating innovative design, sustainable technologies and premium experiences around the globe. News, our commitment to the environment and other corporate information. This section profiles some of our most striking design concepts and showcases. Lexus Hybrid Drive: Intelligently combining a petrol engine with an electric motor. The GS combines bold and dynamic design, precise handling, innovative technology, and a spacious contemporary interior. The engineering of the GS 300h performance saloon involved a relentless effort to create the most efficient GS ever built. Powered by our innovative and proven Lexus Hybrid Drive, it emits below 110g/km of CO2 and almost zero harmful particles. 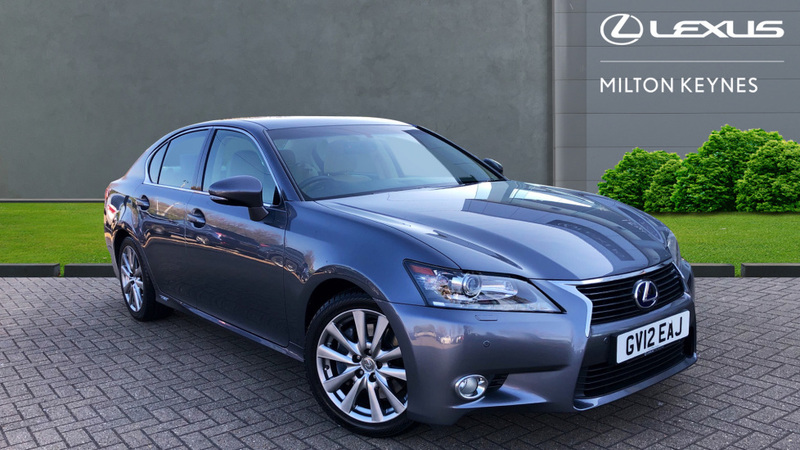 The GS 450h delivers breath-taking performance thanks to its powerful Lexus Hybrid Drive. The intelligent partnership of a 3.5-litre V6 direct-injection petrol engine and a high-output electric motor delivers 345 DIN hp. Meanwhile the tranquil, beautifully crafted cabin of the GS will keep you relaxed, even on the longest journeys.